A well-crafted digital marketing strategy plays a vital role in the overall success of a company’s strategy. And this has been accepted by businesses all around the world. The companies today are investing huge sums in their digital marketing plans. But in spite of huge stress and high investments a lot of digital marketing strategies fail when they are launched. Why do most Digital Marketing Strategy Fails ? Why is that? Why is so that these digital marketing strategies couldn’t achieve what was expected out of them. The reasons seem all so obvious once the strategy has actually failed. The question here is not why the strategy failed but how to avoid the failure of a digital marketing strategy and turn it into a success. Given below is a list of some common digital marketing fails and how they can be avoided. One of the reasons why digital marketing efforts fail is that we become too search engine oriented and try to bring in those keywords unnecessarily. It makes the content appear too clumsy. So the customers viewing the content get irritated and the post thus becomes irrelevant to them. So what we need to do is to post content for people and not for search engine robots. A quality content would automatically draw user attention and would do the job it was meant to do. Sometimes we lose our patience too soon and just when the strategy starts to show some result we change it. What we need to realize is that Rome wasn’t built in a day and so is the case with digital marketing. It can’t show you great results in a matter of days or weeks. You need to give it some time. 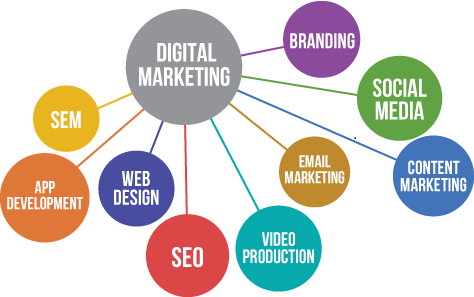 Also we must realize that the objectives that we have in mind for the digital marketing strategy needs to be realistic. You just can’t set some targets which are beyond reach. We must work with a well-documented plan and keep on tracking the progress from time to time. We should have a clear cut vision for our digital marketing strategy. And we should know very well what we want from it and what it can deliver. The goal that you set must be Specific, Measurable, Attainable, Realistic and Time Linked. A SMART Goal. One more mistake that we often do is that we get so much involved with our own strategy that we tend to neglect what our competitor is doing. We should keep in mind that we need to study what the competitor is doing, we might learn from his mistakes or might even get some ideas from his success. So it is really important that we not go in isolation with our strategy and be aware about what’s happening around us. Another important aspect that needs to be realized is that the success of a strategy depends on the consumers and their behaviour. And the behaviour of consumers keeps on changing. So it is important that we be proactive and keep adapting to the changing market. But we need not change our strategy again and again. We just need to have some set of tactics for different situations and these can be changed over time, while the basic strategy stays constant. Now for predicting what can be the behaviour of the consumer the best way is to analyse your market and know about what is the persona of your targeted section of customers. One more mistake that most digital marketers do is to neglect the mobile users. With the number of mobile users growing day by day you just can’t afford to not include mobile platform in your marketing strategy. Many people today use mobile to fulfill all their web needs. In such a scenario not posting mobile optimized content can really affect the overall success of the digital marketing strategy badly. It is a fact that an effective strategy can only be accomplished by people who have a sound knowledge of their domain. So having a really capable and expert team of digital marketers is a must to deliver what is required out of the digital marketing campaign. So you need to devote a good portion of your digital marketing budget in hiring of professionals for executing the digital marketing strategy. An expert team of digital marketers can really turn to be a great asset for the company.